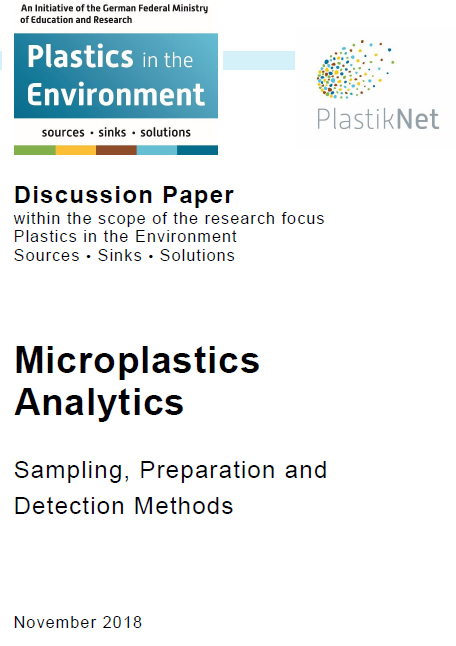 One of the first cross-project results of the research focus has been published: The discussion paper "Microplastics Analytics" reflects the current state of research on physicochemical investigation methods within the research focus and is intended to contribute to a pool of methods that is as standardised as possible for the relevant application fields in science, industry and administration. The goal of this project is to achieve a first-ever accounting of macro-, meso- and microplastics released into the German part of the Danube river basin, with measuring stations at its main tributaries. Microplastic particles (particles < 5 mm) are examined by using various, complementary analytical methods.